Is Pinterest for Brand Promotions Dead? When Pinterest launched in 2011, brands scrambled to jump on the fastest growing platform…ever. Promotions that asked consumers to pin branded content for a chance to win flooded the platform. In 2015 Pinterest rolled out their guidelines for brands and promotions — namely making it against guidelines to require pinning of a specific piece of content in order to gain entry into a promotion — activity then halted. Since then they’ve removed the use of hashtags, changed their waterfall algorithm and search functionality and changed how promoted or paid pins work — all while maintaining a closed API. Successfully activating a brand on Pinterest is tough. Many have walked away from using it as a focused platform. But, with 100 million monthly active users and users doubling year over year at the same rate as Instagram, it’s hard to ignore. Pinterest is totally different from other social platforms, in fact they encourage brands to think of them as a search and discovery platform instead of typical social media. Consumers engage with the content vs one another. You’re just as likely to use a recipe that a stranger pinned or if your mom pinned it. It’s relevancy first. 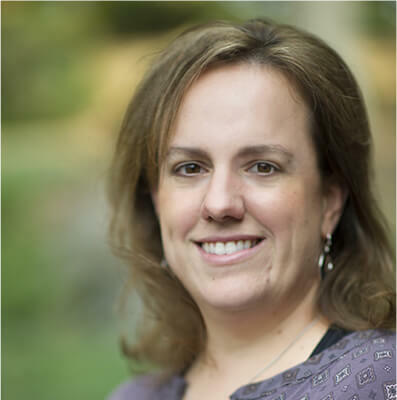 If the platform is about search and discovery, what are people looking for? The content brands put on Pinterest has to serve a purpose. Show me styles, bring me solutions, inspire me. It’s a tough sell for a CPG brand that has no recipes or alternative uses, but it has endless potential for other brands. 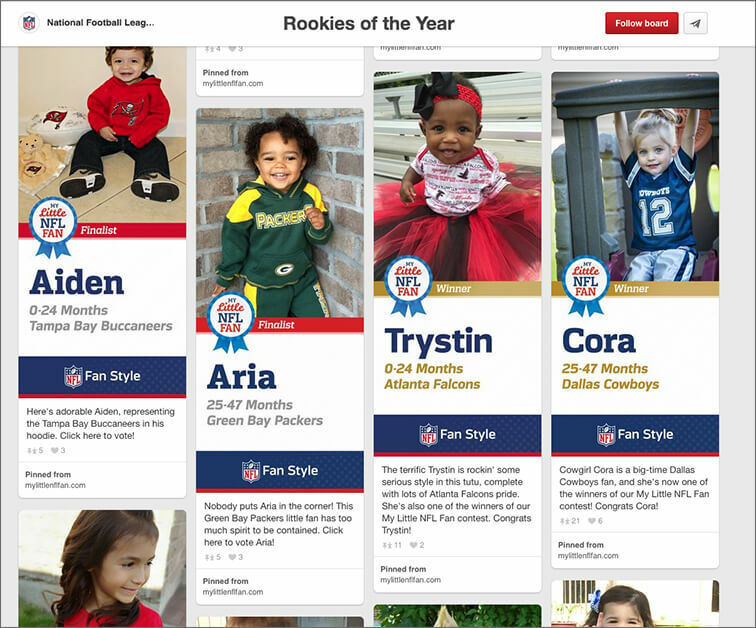 Knowing that the platform is especially relevant for apparel/fashion ideas and with moms looking for inspiration, NFL infant and toddler apparel leveraged a promotion to create new content for Pinterest. During the My Little NFL Fan Promotion, 64 finalists were given approved, official licensee NFL team apparel to dress up their baby or toddler and re-submit a photo for public vote to determine the winner from each group. The photos were then used on Pinterest, representing actual apparel available for purchase via NFLShop.com and in stores. Pinterest offers brands the opportunity to influence purchase by linking through to e-commerce or directly within the platform. Many apparel products and e-commerce heavy brands now feature ”Buy It“ buttons within their pins for immediate actions while browsing and consumers can connect Apple Pay or credit card to their accounts.